Perfection is often elusive, but good teachers continuously strive to obtain it. The classroom is the epicenter of teaching and learning. Throughout the school year, the four walls of a classroom encapsulate life-changing interactions between the teacher and their students. A classroom typically takes on the personality of the teacher. Though similarities are prevalent in every classroom, no two classrooms are exactly the same. Every teacher will have a slightly different version of the ideal classroom, but common elements do exist. It is in these commonalities that you often find a true representation of characteristics found in the ideal classroom. The ideal classroom……….is student-centered meaning that the teacher is the facilitator of learning built on student interests and abilities. The teacher rarely lectures or uses worksheets, but instead provides students with engaging, authentic learning opportunities. The ideal classroom……….is a display center for student made learning posters, artwork, and other exemplary work. The ideal classroom……….is well organized so that teachers and students can utilize the resources in the room quickly and efficiently. The ideal classroom……….provides students with a safe zone where they feel comfortable and can temporarily escape any problems they are dealing with at home. The ideal classroom……….has structure or a specified set of procedures and expectations that everyone follows. The ideal classroom……….has a teacher who always addresses their students in a positive manner. They treat their students fairly and maintain the dignity of the student when addressing discipline issues. The ideal classroom……….has an open door policy where parents and community members are encouraged to participate actively in daily activities and lessons. The ideal classroom………..embraces technology and regularly integrates aspects of technology into lessons. The ideal classroom……….provides regular authentic learning opportunities where active, hands-on learning is a standard classroom practice. The ideal classroom……….is one where teachable moments are embraced. The teacher realizes that value learning opportunities exist beyond simple rote learning and takes advantage of those opportunities. The ideal classroom……….embraces modeling and independent practice as a critical learning tool. The teacher models new skills and then allows students to practice these newly acquired skills independently. The ideal classroom……….allows students to work cooperatively on learning projects. Students are taught to create a plan, assign tasks, and then to bring everything together to complete the project. The ideal classroom……….has a teacher who is not afraid to experiment. They are continuously searching for ideas to boost learning and regularly tweaks previously used lessons to meet the needs of their current students. The ideal classroom……….incorporates a variety of proven instructional strategies throughout the school year. The teacher exposes students to a wide range of strategies so that multiple learning styles are addressed on a regular basis. The ideal classroom……….is one where respect is a core value. Teachers and students understand that respect is a two-way street. Everyone is respectful of others thoughts and feelings. The ideal classroom……….is amicable. 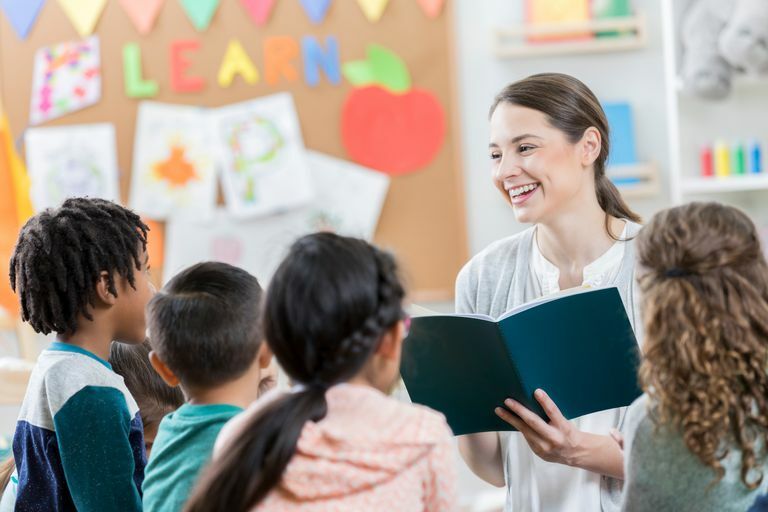 Students and teachers may disagree from time to time, but they respect each other’s opinions and listen to the other side without passing judgment. The ideal classroom……….embraces accountability. Students are taught self-discipline and hold each other accountable when they make a mistake. The ideal classroom……….embraces individual diversity and differences. Students are not only taught to value differences but that all individuals bring real value to the classroom because they are different. The ideal classroom……….is not limited to the four walls of the classroom. The same principles applied in the classroom are extended to all areas of the school as well as all school activities. The ideal classroom……….encourages all students to participate actively in every learning activity. Each student brings value to the learning process and thus are expected to pull their weight in each and every activity. The ideal classroom……….is content driven meaning that students are minimally taught the concepts and requirements per grade level and subject area. The ideal classroom……….is data-driven. The teacher pulls data from multiple sources to paint an accurate portrait of individual student needs. The teacher then creates individualized learning opportunities to meet the specific needs of each student in their class. The ideal classroom……….provides sequential learning opportunities allowing students to connect new learning experiences to prior learning experiences. It also allows students to begin to look forward to learning that is on the horizon. The ideal classroom……….allows students to tap into individual talents and creativity. Students are encouraged to individualize learning projects by putting their own unique or creative spin on them. The ideal classroom............is built on high expectations. No one is allowed just to get by. The teacher and students expect maximum effort and participation in every class activity. The ideal classroom……….is one that students look forward to going to. They anticipate new learning opportunities and look forward to seeing the adventure that each day brings. The ideal classroom……….is made up of fewer than eighteen students, but more than ten students. The ideal classroom……….teaches students more than what is required. Students are taught valuable life lessons and skills. They are encouraged to begin to establish a plan for their future. The ideal classroom……….provides students with clear and concise directions in both verbal and written form. Students are given an opportunity to ask questions before, during, and after a task for clarification. The ideal classroom………..has an ongoing, collaborative and engaging dialog where students share their expertise and experiences on the topic at hand. Teachers are facilitators who guide the discussion, but who ensure students are engaged throughout the discussion. 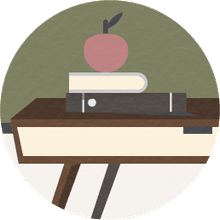 The ideal classroom……….has plenty of educational resources including up-to-date textbooks, supplemental learning tools, technology, and a comprehensive classroom library. The ideal classroom……….provides every student with one-on-one instruction on a daily basis to meet individualized learning needs. The ideal classroom……….has a teacher who makes adjustments as needed. The teacher takes the time to re-teach concepts when necessary and recognizes when individual students are struggling and provides them with extra assistance when needed. The ideal classroom……….is full of students focused on learning. They are goal oriented and refuse to be a distraction for their classmates. They love learning and realize that a good education is a means to an end. The ideal classroom………..prepares students for the future. Students not only advance to the next grade level but do so with the tools and abilities to be successful.